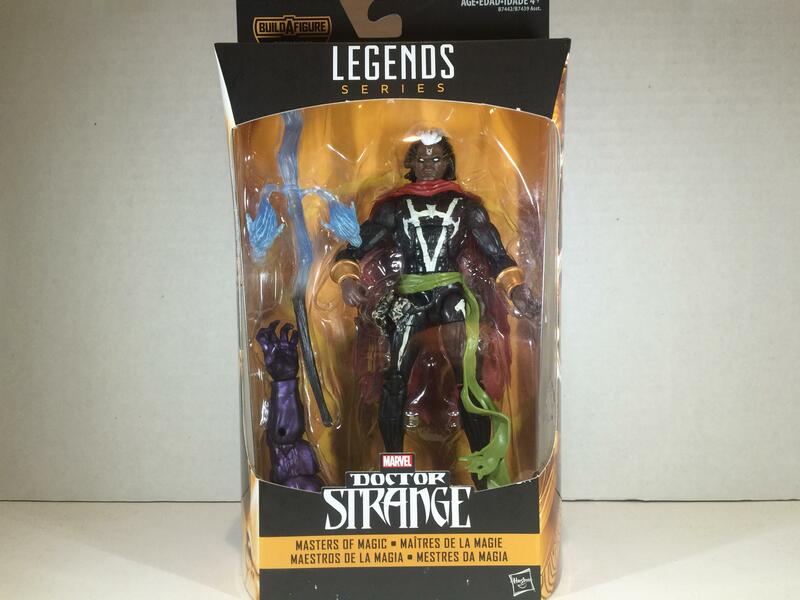 Marvel Legends Dormammu BAF Wave Brother Voodoo Review | Jesse Hecht C.R.E.A.T.I.V.E. Cuisine, Reviews, Entertainment, Animation, Toys, Images, Videogames, EVERYTHING ELSE! Today, we’ll be reviewing toys, action figures, LEGO, and whatever toy-related thing I can get my hands on! 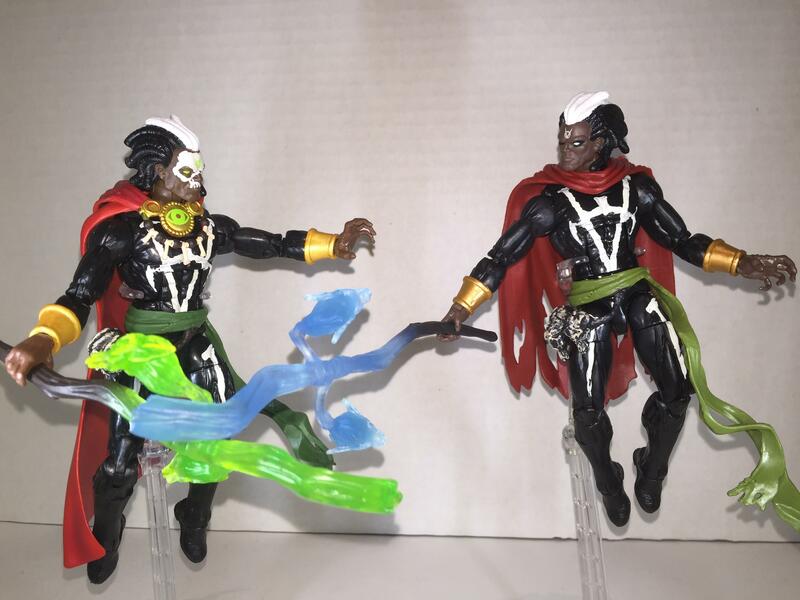 Today, we’re reviewing the Brother Voodoo figure from the Dormammu BAF (Build-A-Figure) Wave (called DBAF from now on). 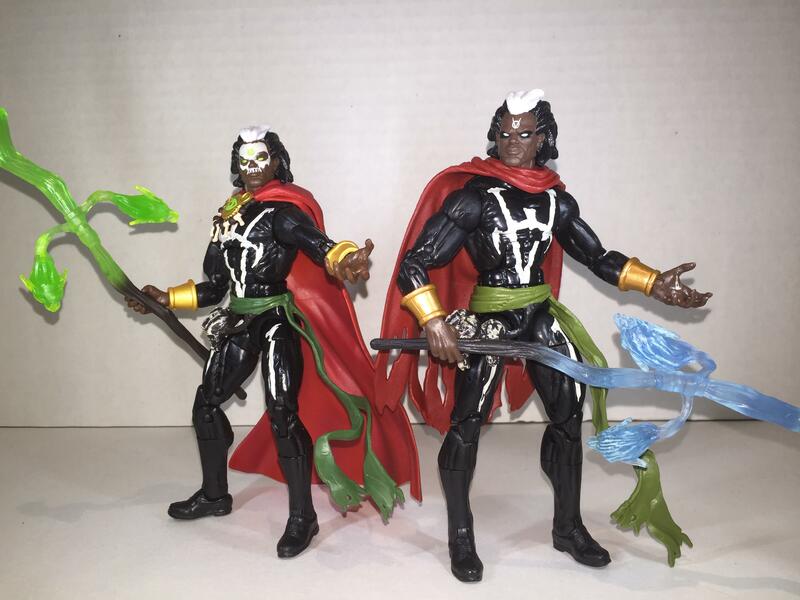 A quick internet search reveals that Brother Voodoo is a man combined with the soul of his twin brother powering him. 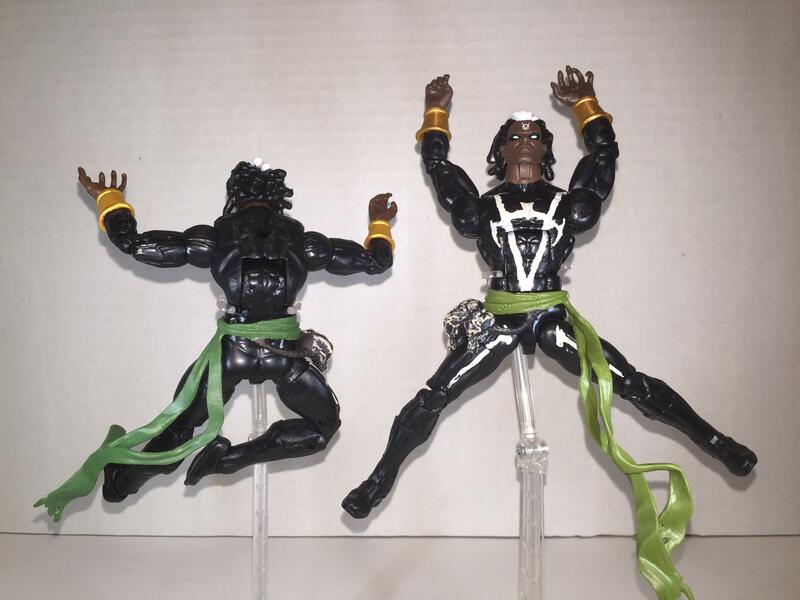 Together they are Brother Voodoo, and after years of fighting the occult and other voodoo sorcerers, (along with being possessed and fighting Doctor Strange) Brother Voodoo is allowed the mantle of the Sorcerer Supreme, previously held by Doctor Strange himself. 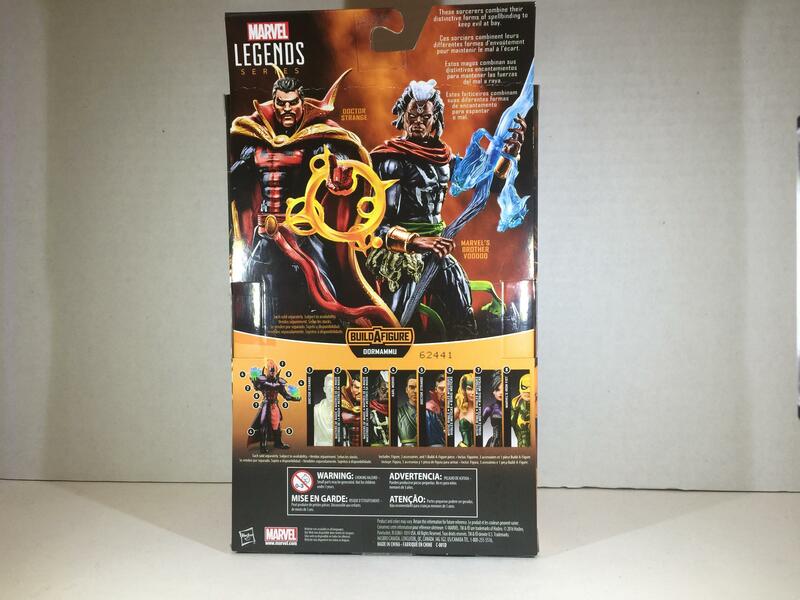 This is the standard Marvel Legends packaging. Lots of cardboard, plastic, photos, and text. 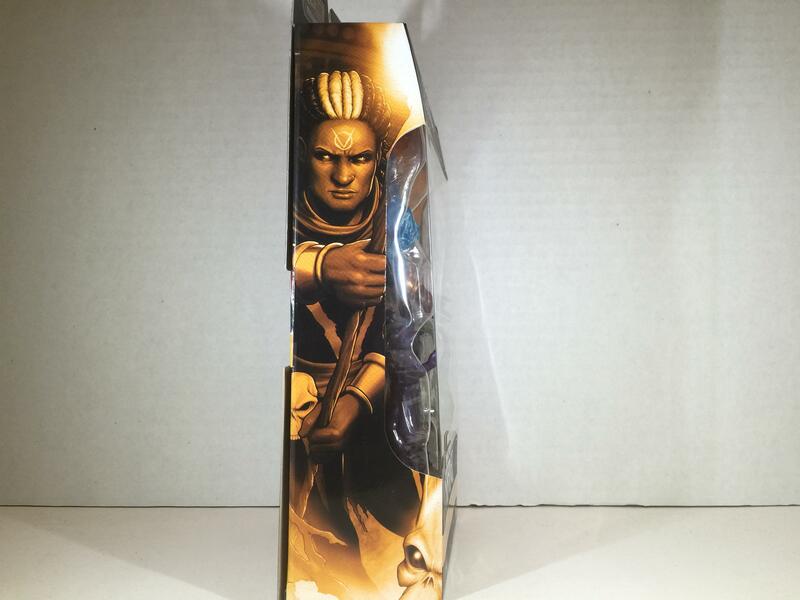 To myself, this is old news, but to run this down: the figure is in the front, artwork is on the sides, a character(s) bio is on the back with figure-accurate artwork along with the Build-A-Figure information below, showing who comes with what. As always, fantastic artwork and succinct text. The front of each figure has the same paint on each body, with color differences on the sash belt, hip skulls, bone paint, and face. 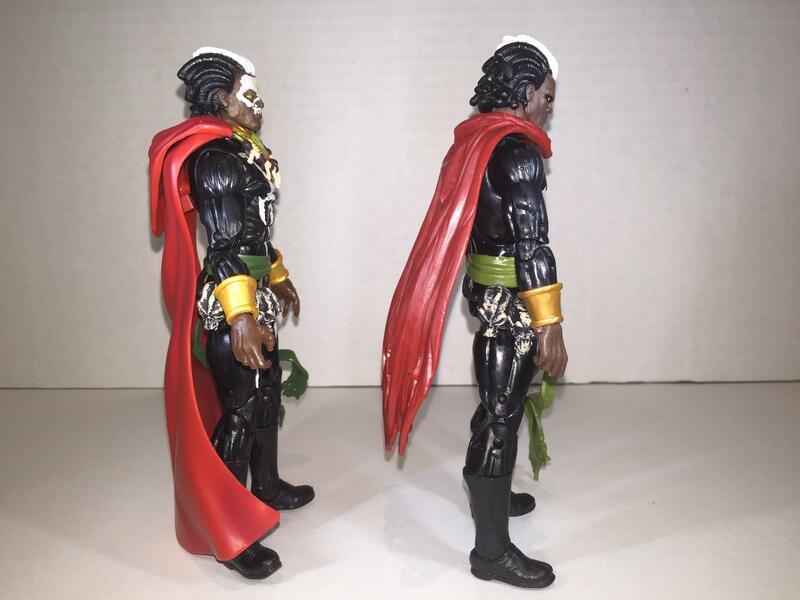 The bone paint on the SDCC variant is more cream-colored and the sash is a darker green compared to the white bone paint and olive green sash on the DBAF variant (the DBAF variant’s sash is also longer). 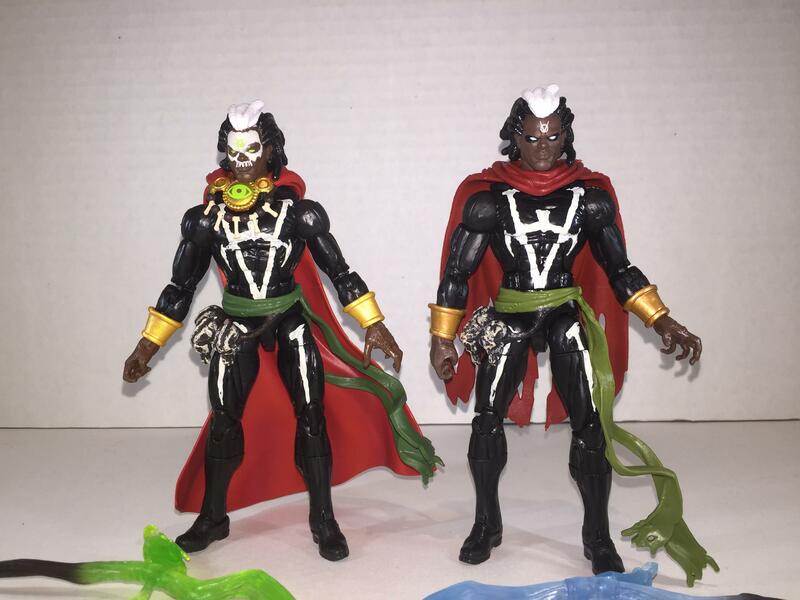 The skulls are painted differently on both, with the DBAF being painted to be more decayed than its cleaner counterpart, though on further study, they look similar from the side. 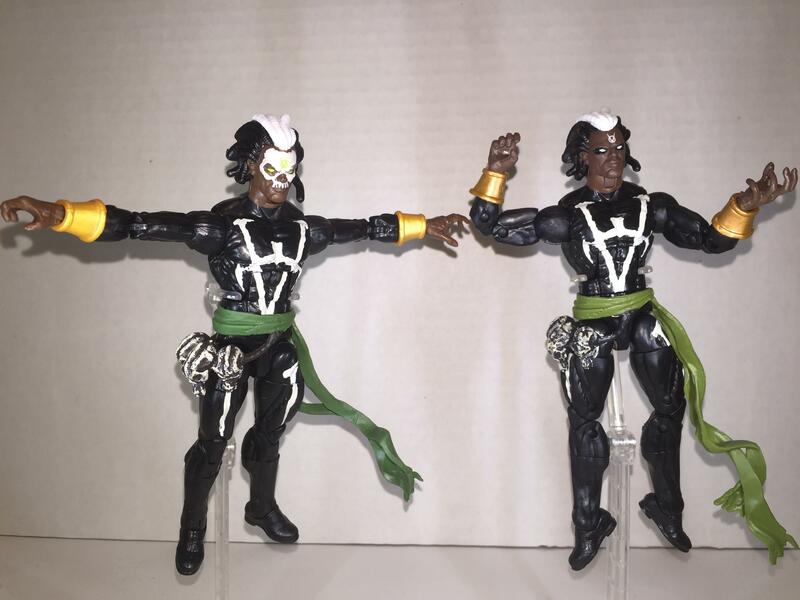 The SDCC version also has skull facepaint, green eyes, and a green symbol on the forehead, compared to the white eyes, eyeshadow, and white symbol on the DBAF variant. The sides are nothing new, showcasing the headsculpt with expertly molded tendrils of hair swooping back on the head. 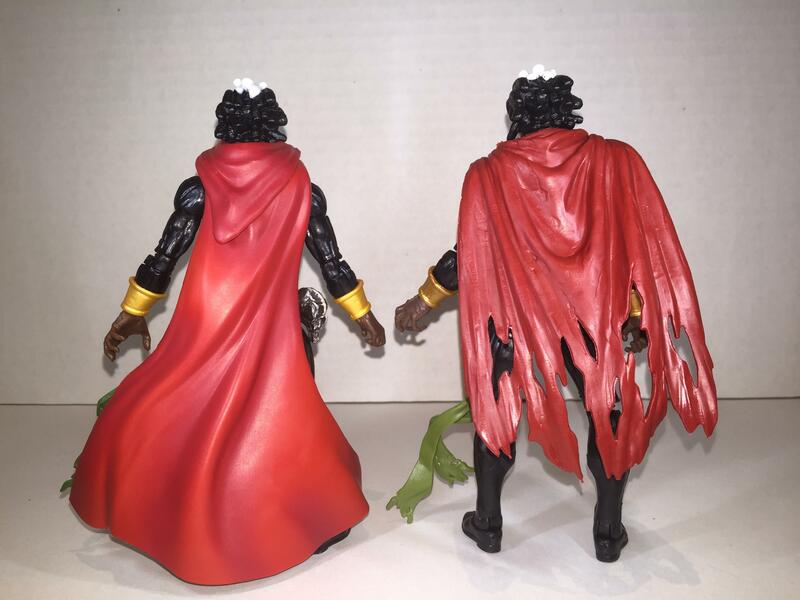 The capes are both different, with the DBAF variant having a tattered cape and the SDCC variant having a more regal cape with added decoration in the front. 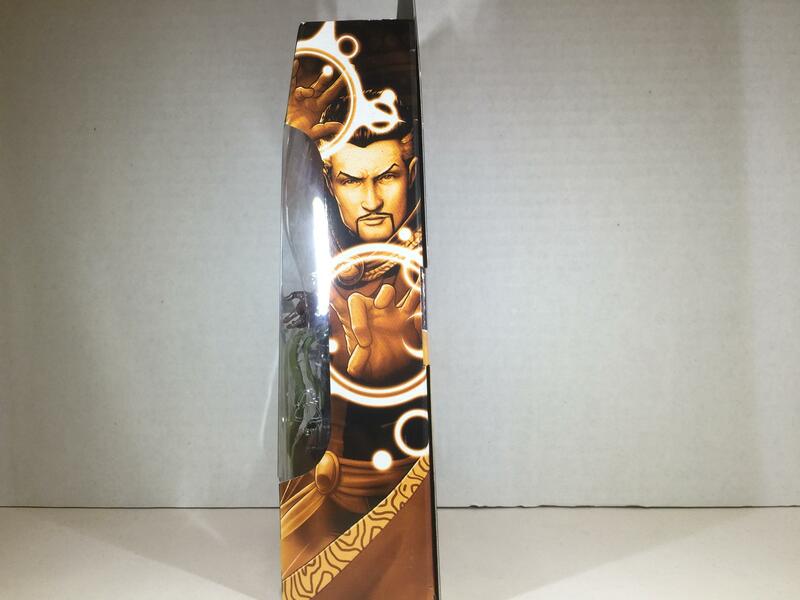 This cape is in two pieces, one being the cape itself, and the other being the shawl with the Eye of Agamotto attached, containing a bone necklace and great paint on the Eye itself. The shawl also flows well into the cape, which is nice. 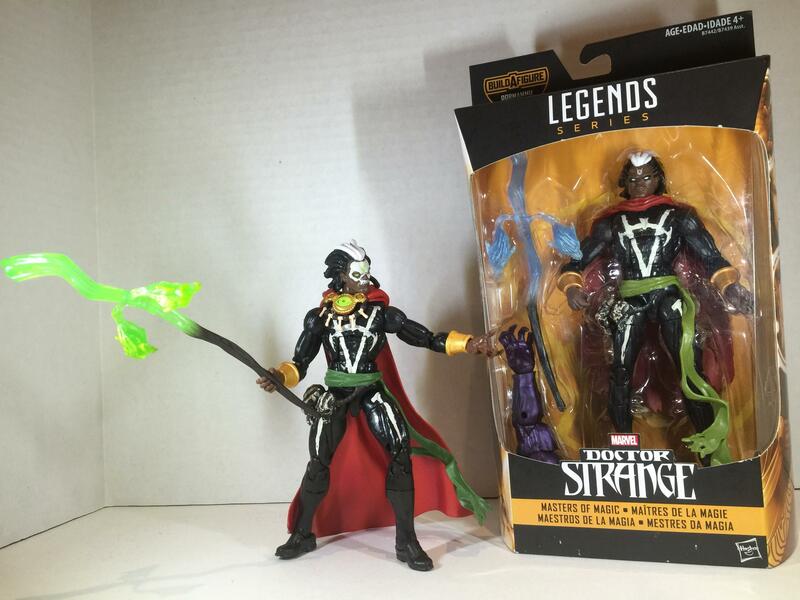 Brother Voodoo also comes with a staff, green for the SDCC variant, and blue for the DBAF variant. Choose your side! Gatorad–Nevermind. 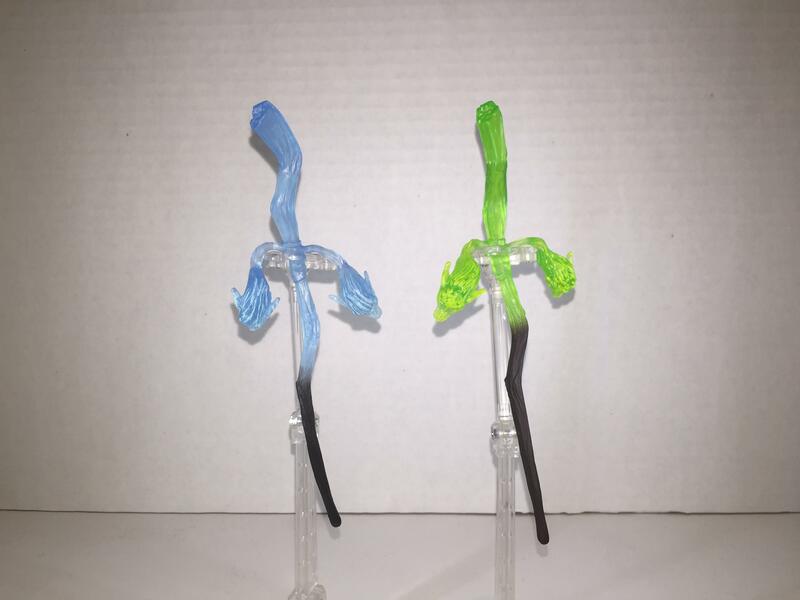 Regardless of which staff is better, both are equally as well-painted, with lighter-colored streaks of paint giving depth to the energy portion of the staves. Also, the wooden portion of the staves are differently sized. It is unknown if this intentional or just a painting error. This figure is Bucky-Cap mold through and through, the body, arms, legs, feet, and articulation is all stemmed from that one figure. 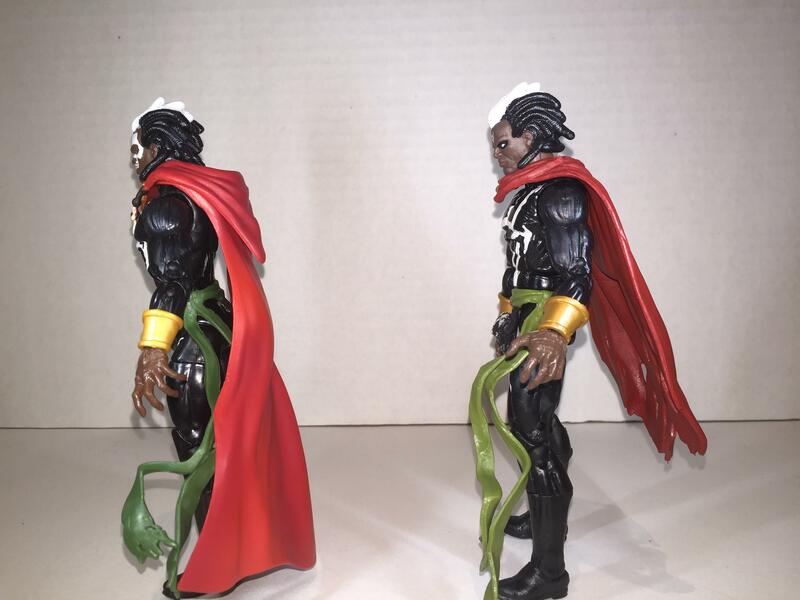 The forearms with the bangles, the head, waist sash, skulls, and head are all new and not part of the Bucky-Cap mold. 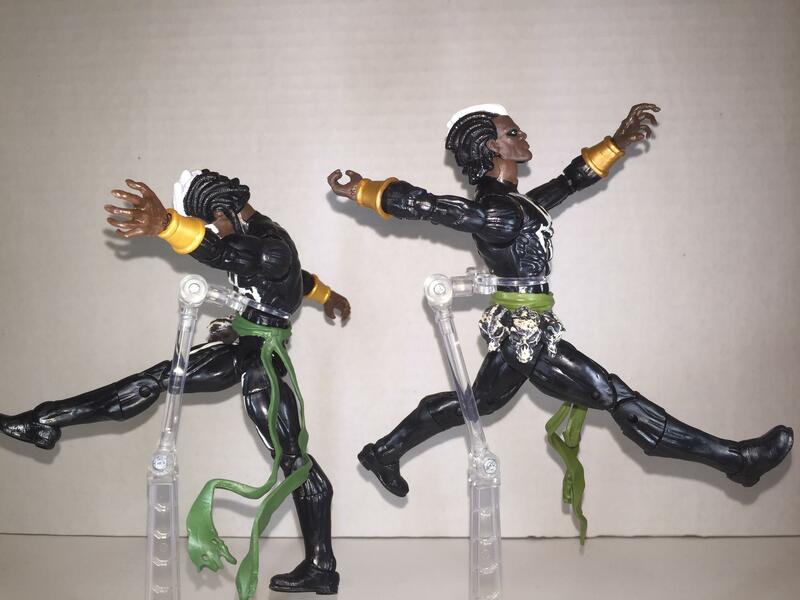 The capes (which can both be removed, along with the shawl) don’t really hinder articulation and can both be adjusted, along with the shawl. As for which is best, I will have to give this to the SDCC variant. The DBAF variant is also okay for what it is, but the look and cohesiveness of the SDCC variant just sells this figure better. 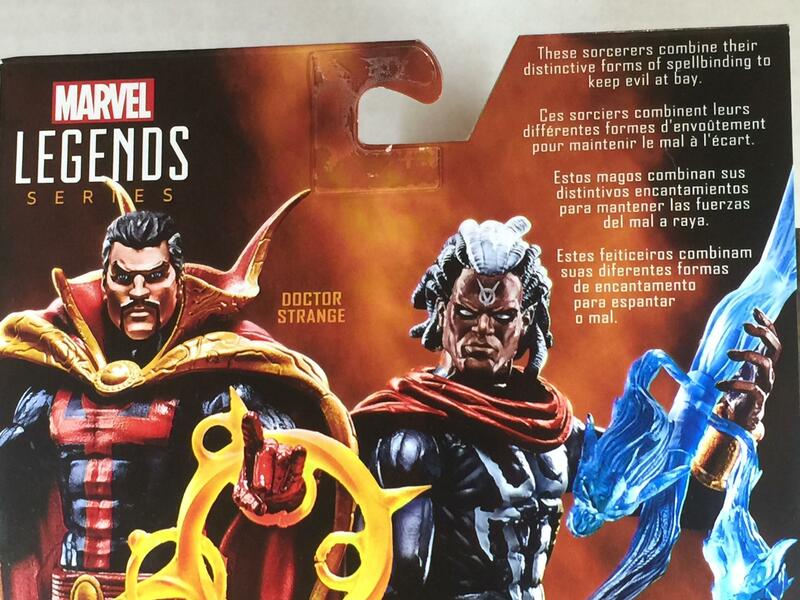 The paint applications are also great on both, but the SDCC variant just has more to offer. They are both really great figures for someone who wants more than just the Bucky-Cap mold. Thank you for reading this review! Please feel free to comment below, and look out for more toy reviews next week!